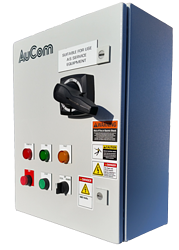 Whether you require a fully-featured motor control solution or a simple soft starter, AuCom has a product to suit your needs. 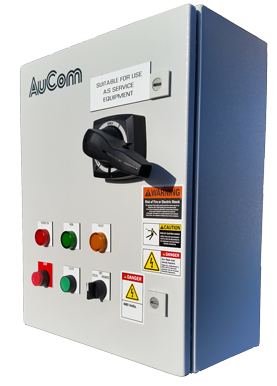 AuCom North America sales engineers have experience in a wide range of applications and the motor control expertise to help you choose the ideal AuCom solution. 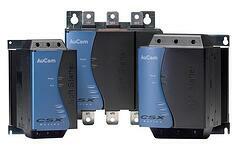 The EMX3 is a comprehensive motor management system for the most demanding soft starting and stopping applications. With an impressive range of features, including AuCom's innovative XLR-8 technology, the EMX3 delivers superior performance and an unprecedented level of flexibility in a compact and user-friendly package. The EMX3 is available as a chassis starter, in enclosures as a standard package, or as a custom engineered solution. EMX3 soft starters are available in enclosures as standard stocked combo starters, or we will custom engineer a solution to your specifications. With a choice of NEMA 12, NEMA 3R, and other enclosures, standard or heavy duty rating and optional line rated bypass contactor and circuit breaker, there's an EMX3 package to suit your requirements. The CSXi is ideal as a simple soft start control device which also provides motor protection, allowing you greater control over the starting and stopping of three phase motors. We also offer a CSXi Pump Panel. 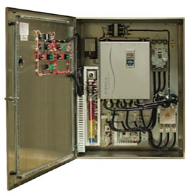 These packaged pump panels are the most cost-effective way for you to add the advantages of CSXi series soft starters to your system, pre-installed in NEMA 3R enclosures with the features you need for most pumping applications. 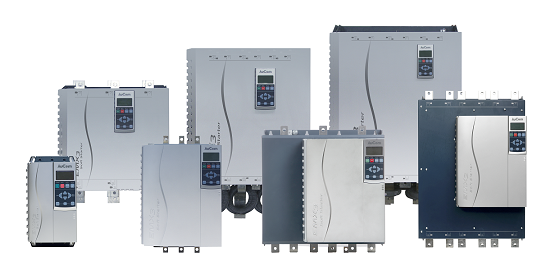 Our standardized pump panels are the most cost-effective way for you to add the advantages of CSXi series soft starters to your system, pre-installed in a NEMA 3R enclosure. Using one of our standard panel configurations makes it easy for you to add a soft starter to your system, with most of the wiring already completed for you. Pushbuttons and indicator lights can also be added, for the ultimate in easy installation. The MVE soft starter is a powerful and reliable solution for your medium voltage motor starting requirements. With our complete class E2 starter, MVE will get your motor running. Based on AuCom's successful MVX and MVS starters, MVE brings together sophisticated soft starter motor control functionality in a robust yet compact physical configuration.